Hamlet ponders the nature of death before challenging Laertes to a duel. First GravediggerA Danish gravedigger who sings as he works., Second GravediggerAnother Danish gravedigger., HamletThe prince, having returned to Denmark, walks around the graveyard and finds the skull of the former court jester. After reminiscing to Horatio, he watches and then crashes Ophelia’s funeral, challenging Laertes to a duel., HoratioHamlet’s friend accompanies him through the graveyard., ClaudiusThe king attends Ophelia’s funeral., GertrudeThe queen attends Ophelia’s funeral., LaertesAt his sister’s funeral, a distraught Laertes leaps into the open grave, where he is ambushed by Hamlet and challenged to a duel., PriestThe priest presides over Ophelia's funeral., LordsAttendants of Ophelia's funeral. In the graveyard at Elsinore, Hamlet and Horatio come upon two gravediggers, one of whom sings while he works. The gravediggers are debating whether the person for whom they are digging the grave committed suicide. Observing them, Hamlet ponders all the different skulls in the graveyard, wondering who they once belonged to. 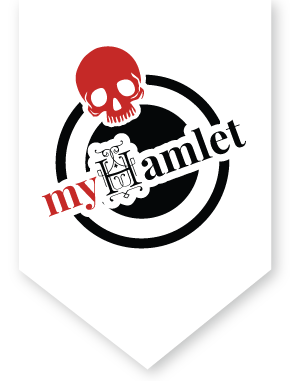 Picking one up, Hamlet learns that it once belonged to Yorick, who was the court jester at Elsinore when Hamlet was a boy. Hamlet remembers him fondly, and he laments the fact that someone who was once funny and joyful has simply turned into a skull in a graveyard. His musings are interrupted by the entrance of Claudius, Gertrude, Laertes, and a whole host of attendants. It’s Ophelia’s funeral. Hamlet watches from afar until Laertes jumps in the grave, begging to be buried with his sister. Hamlet leaps in with him and challenges Laertes to a duel.